In October this year I will be joining a group of other Animals Asia supporters to trek through the jungles of Northern Vietnam, and together we will be raising thousands of pounds to help Animals Asia in their mission to end cruelty to all animals across Asia. Although we will be rewarded with a visit to the Vietnam Bear Rescue Centre in Tam Dao National Park we will have to complete the trek through humid jungles and up rocky paths, and it will certainly not be a 5 day leisurely stroll. Accommodation and facilities will be very basic as we will be staying with local families – no comfy hotel beds or bathrooms. 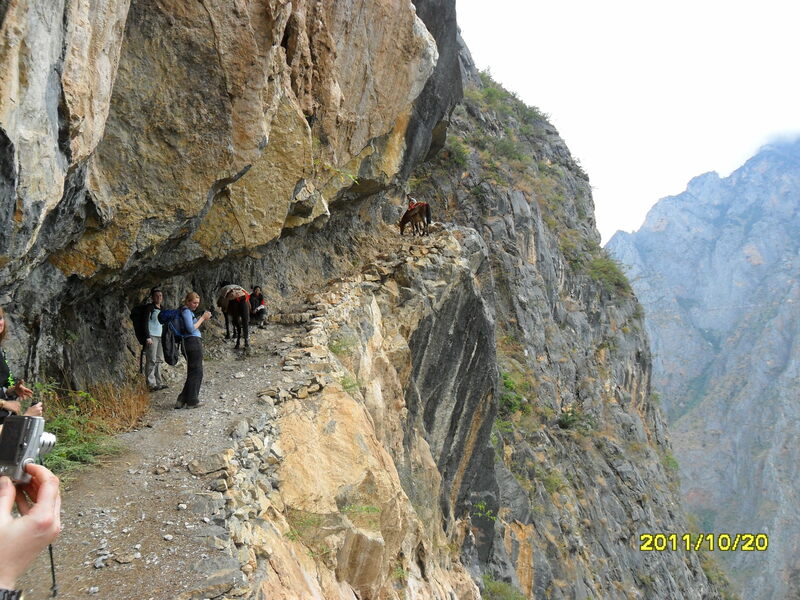 I did the Animals Asia China trek in 2011 which was absolutely amazing but also very scary at times, especially when there was only a narrow path with a steep rise on one side and an equally steep drop on the other as you can see below. I am paying my own costs but am still short on the minimum sponsorship and would really appreciate any help you can offer. With Animals Asia you know that the money will directly help the animals we all care about, so if you think that any of your friends or family might like to help me reach my sponsorship target, please feel free to pass on my JustGiving page. Any amount will be much appreciated. You can also donate by text by simply texting the code MDVI50 £1 (£2, £3, £4, £5 or £10) to 70070. I will try to post a daily update from Vietnam in October so you can see how we’re all getting on. 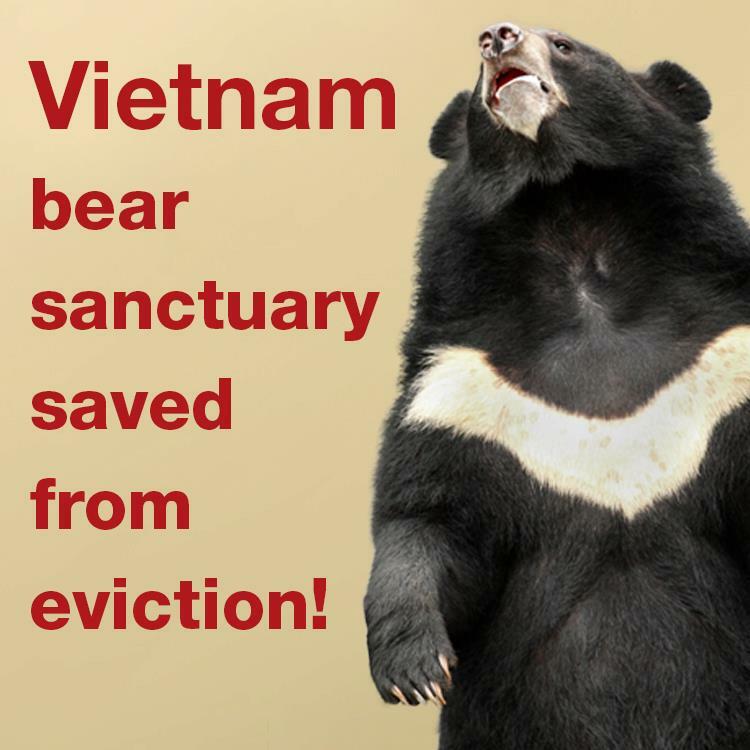 Animals Asia’s Vietnam bear rescue centre has been saved from the eviction threat that has been hanging over it since 5 October 2012. A communiqué issued by the Vietnamese government confirms that Prime Minister Nguyen Tan Dung has concluded that the rescue centre’s operation should be maintained, and that construction on the project’s second phase should continue. This decision ensures that the 104 bears living at the centre that have been rescued from the bile industry will stay, 77 local Vietnamese staff keep their jobs, and Animals Asia who fund and operate the centre will not suffer the financial losses of US $2 million as previously feared. As the future of Animals Asia’s Vietnam sanctuary is still up in the air, founder and CEO Jill Robinson asks us to share this short and moving video far and wide to help stop the eviction of 104 bears and 77 staff.